sports How To Watch PTV Sports Live Online? 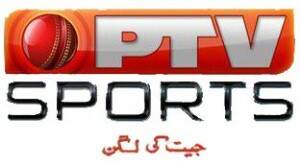 PTV Sports is a new Pakistani Sports Channel which started its Telecast earlier in start of 2012. Its a Government channel and part of PTV Group which already have several channels like PTV Home. PTV Sports is second Sports channel launched in Pakistan. Before this Geo Super was the only Sports Channel in Pakistan. PTV Sports has started to Telecast all important sports event of Pakistan Live like Cricket matches of Pakistan Team, Hockey Tournaments. Famous Program Sports Circle also airs on PTV Sports in which Former Cricket Aamir Sohail and famous sports Analyst Noman Ijaz participates. PTV Sports is able to get large viewership in short period of time and reason of this is Pakistanis love for Sports specially Cricket.